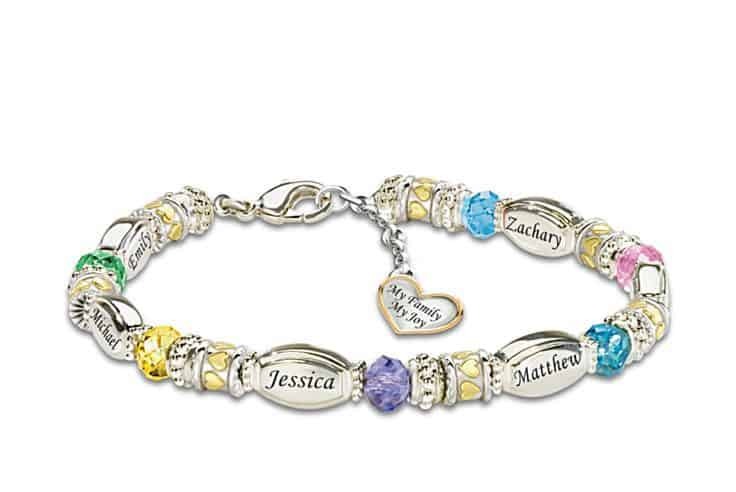 A beautiful celebration of your family, and the love that holds it together! 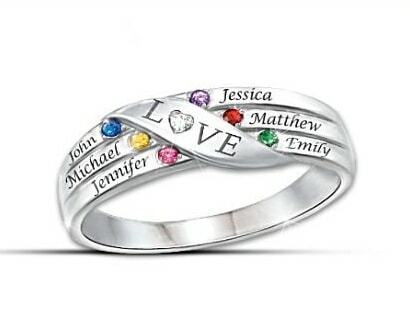 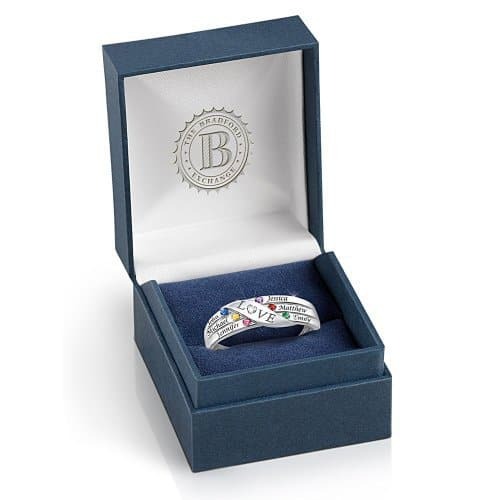 Solid sterling silver ring features the names and birthstones of up to 6 family members, all encircled by a band that is engraved with the word “LOVE”. 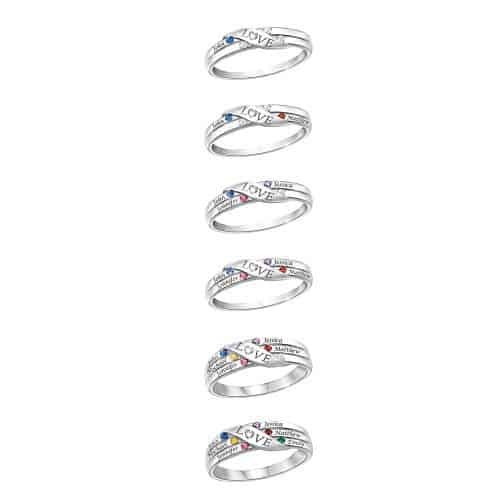 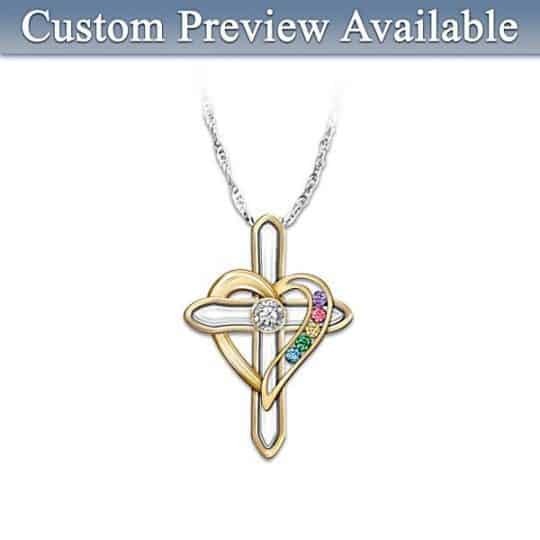 A genuine diamond accents the “O” in “Love” to create extra sparkle.